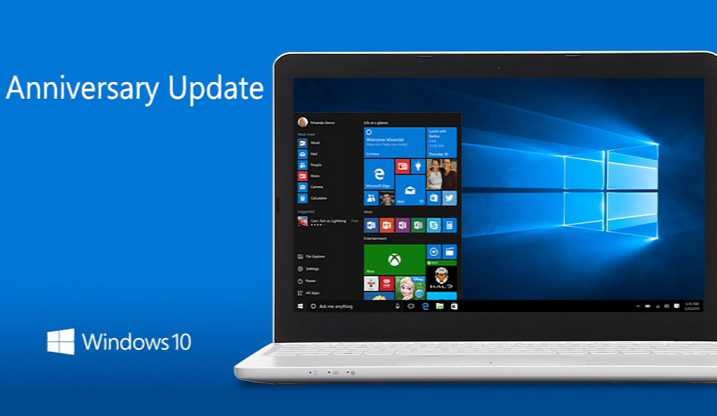 Windows 10 update KB4015217 build 14393.1083 for PC is now available for download. The company also released build 10.0.14393.1066 for Windows 10 Mobile devices. The new update brings bug fixes and other performance improvements for Anniversary Update users. Previously, the company released update KB4016635 build 14393.970. Microsoft has already released Windows 10 Creators Update or Windows 10 version 1703 for end users. The update is free and now available for all Anniversary Update users. However, if you are facing issues like update stuck or fail to install, check guides for the workarounds here. Windows 10 update KB4015217 build 14393.1083 fixed an issue that was preventing the Camera application from saving a captured image when “Show recently opened items in Jump Lists on Start or the taskbar” settings is enabled. Update KB4015217 fixed an issue where displays turn off unexpectedly even when Turn off display and Screensaver, are disabled in the power profile. Addressed an issue where CredentialGuard-enabled computers joined to Active Directory domains submit two bad login attempts each time a bad password is provided during a Kerberos-based logon. Logins to Active Directory domains with arbitrarily low account lockout thresholds may be subject to unexpected account lockouts. For example, 2 logins with a bad password could result in an account being locked out if the account lockout threshold is set to 3 or 4. Update KB4015217 fixed an issue that causes virtual machines to fail during high I/O scenarios where the user may log in multiple times. Windows 10 update KB4015217 build 14393.1083 fixed an that was causing MDM enrollment failures on devices using Kerberos authentication. Update KB4015217 fixed the issue with rendering when a web page contains a DIV element that has the content editable attribute. Update KB4015217 enabled warning message in Group Policy Management Console (GPMC) to alert administrators of a design change that may prevent the processing of a User Group after installing security update MS16-072 (KB3163622).